Ethel Reed: Miss Traumeri. Maitres de L’Affiche plate 99, issued Paris December 1897. 40 x 28.5cms (15.75 x 11.25 inches). Embossed Maitres de l’affiche stamp in lower right corner, 5mm tear left margin. Category: Maitres De L'Affiche. 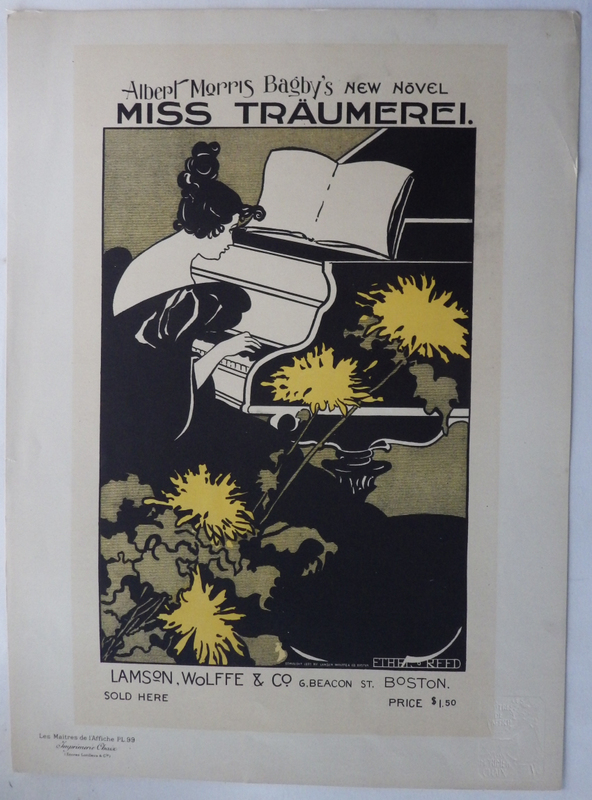 Tags: Ethel Reed lithograph Miss Traumeri, Ethel Reed print, Maitres de l'Affiche.